True fact or urban myth? These conflicting scholarly and personal perspectives made me to want to explore what patterns of denominational affiliation actually exist among Millennials. Having taken quite a theological journey myself I was curious as to how far that is true of this generation, and what that might mean for those who leading congregations and denominations? Pattern 1: Length of attendance at any given church. Most of those under 26 had attended their current church for less than 2 years. The median length of time for attending any one church was 4 years although this varied depending on the age of the participant. Most of those under 26 had attended their current church for less than 2 years. Clearly being a student influences the mobility of many Millennials as they move away to study. Similarly, on graduation many relocate, often more than once since long employment contracts are rare. Those in their early and mid-twenties clearly showed this pattern. However, those who were older had attended for considerably longer, some of them having remained in their student congregations becoming established members and even leaders. It was not unusual for older Millennials to cite up to a decade in their current congregation. 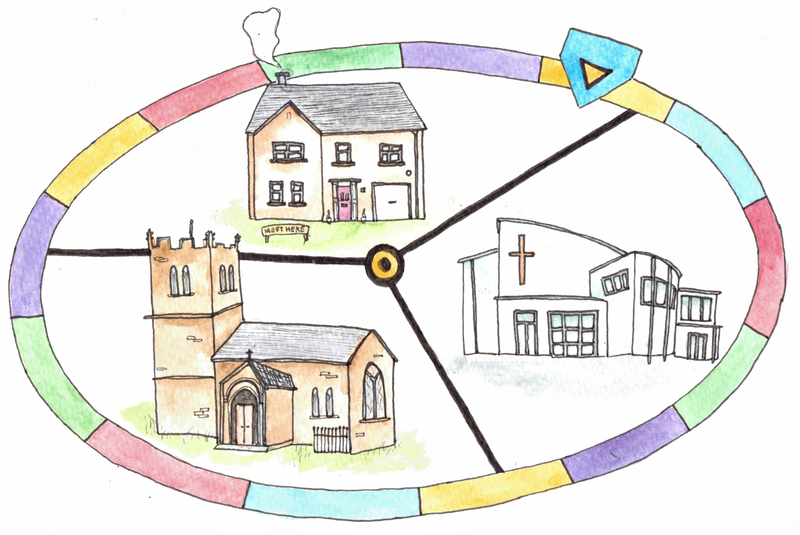 Pattern 2: Multiple denominations….within a limited range. The denominations 50 young women reported attending shows a clear match to the EA findings. Millennials are not typically loyal to a denomination, but they do select churches within a familiar theological range. 92% were not denominationally loyal. Those attending an FIEC church mostly cited Conservative Anglican, Baptist, Brethren and Presbyterian backgrounds. Those attending an egalitarian house church cited other house church networks, charismatic Anglican, Baptist and Pentecostal churches. This is no real surprise – despite being a different denomination there is enough in common for young adults to feel comfortable with some level of theological and stylistic familiarity. However, 25% had made significant theological transitions. What was most interesting were the 25% who had made significant theological transitions. There were individuals from egalitarian Charismatic backgrounds now attending a complementarian FIEC church. Those from Conservative Anglican and Orthodox traditions who had made the transition to a charismatic house church. Most diverse were those who had come from Elim Pentecostal, Salvation Army and FIEC churches who were now all attending a mainstream evangelical congregation. How those journeys take place is intriguing and brings us to a third pattern in the data. Pattern 3: Why young adults chose to attend a particular church. Relationships are a key factor in why Millennials make dramatic theological shifts. My current research is exploring the theological transitions young adults make in their twenties, but experience has led me to think that relationships are a key factor in why individuals make dramatic theological shifts in the churches they attend. Being with friends certainly overrules theological concerns for many undergraduates. It may well be, as a minority in an increasingly secular society, that just belonging to a group of fellow believers is more important than the theological principles and historical boundaries that divide denominations. The dramatic dominance in the community/relationship figure suggests that a cohort or sense of community is far and away the most important factor to Millennials in choosing a church. This means that groups of young adults are likely attract other young adults. These finding raise some interesting reflections for those strongly committed to theological positions or denominations. We may need to recognise that Millennials do not appear to be that concerned over those issues. Many Millennials don’t have qualms about the theological issues that previously divided the Church. Those of us who experienced the fierce divisions of the 90’s may need to realise Millennials don’t know about the “Toronto blessing.” They don’t remember the “Steve Chalke/Word Alive” meltdown or the controversy around Rob Bell’s Love Wins. For most Anglicans, women priests are the norm. Many simply don’t have the same qualms about the issues that divided so many of us. Only time will tell if they will grow into stronger theological conviction as they get older but we need to recognise that things we take as ‘given’ in our traditions may not be understood – or even recognised – by younger believers, and that we may not have them with us for very long in order to explain. How can we welcome and release young adults well? Create a sense of family and belonging for those whose lives are so unsettled and perhaps give them a reason to stay put – while continuing to be supportive if that’s not possible? How can Millennials be encouraged to discover and use their gifts, or make a contribution to the life of a community if they move on so quickly? How can we establish meaningful mentoring relationships with those who are so transient? Millennials are often open to being mentored. They want to learn from older believers so how can we intentionally establish meaningful mentoring relationships and model spiritual maturity to those who are transient? This calls for considerable sacrifice on our part – but I’m sure Jesus said something about picking up our cross daily? This is a generation who long for authenticity in relationship and faith. Some will make decisions based on denomination, but more will chose to belong to a congregation that shows them hospitality, feels familiar and allows for meaningful relationships with fellow believers and Jesus. The label on the church matters less than what they experience on the inside of the community. Jeffrey Jensen Arnett convincingly argues that young adults ‘emerge’ into established adulthood over a long period that spans most of their twenties. Emerging Adulthood: the Winding Road from the Late Teens through the Twenties. (Oxford: Oxford University Press, 2004). Perhaps this isn’t as new as you think. Personally, coming from a non christan background denomination has never been important to me. Baptist, Elim, Brethren,FIEC and would have been really happy in a particular C of E church in Bromley or St Helen’so in London or any other solid Bible teaching church. It’s what is preached that’s important. Community is, too. People want to feel that they can be assimilated into a like minded group and play a part in bringing others to know Jesus. Thanks Lynn, I agree – I think this is a shift that has been happening for several decades. It certainly matches my personal experience too – although some people are still very committed to a denomination or type of church. It’s a really helpful observation that for those coming to faith from a non-Christian background often denominational labels are pretty meaningless. Thanks for your comment. This is really useful. Thank you Ruth. I’ll be really interested to see how this develops, and whether it will result in a more coherent church with a greater appreciation of other traditions and denominations. Also, whether this will create more of a divide between clergy/ordained minsters and the laity/congregation. May it be in 20 years time that leaders within churches are those who care about denomination, leading a congregation of people who are either bothered or unaware of the brand? Maybe this describes a place we’re already at to some extent. I don’t know if you’ve got any thoughts on that? Thanks again for this excellent article. Hi Brogan. yeah – it is an interesting question. I guess we’ll have to watch and see. To be honest at this rate in much of the Western world certain denominations will have faded out altogether in 20 years!